A new story about a new liar in the essay writing niche is dedicated to HomeworkMarket. Why do I call them liars? Because their site does not work like you expect. When you visit it for the first time, it seems like it is not a writing service at all. The idea is that you ask a question and receive an answer from one of the tutors who work on Homework Market. There is no standard order form, price list, and other things. The company assures you that you can negotiate the price with a writer. However, after a conversation with a couple of writers, I found out that there are certain limitations like the minimum cost of 1 page, deadline, and so on. In other words, everything that you can find on any writing site. The difference is that on a common academic writing service, you can see this information on the main page, while here you need to chat with a company representative to learn all these details. 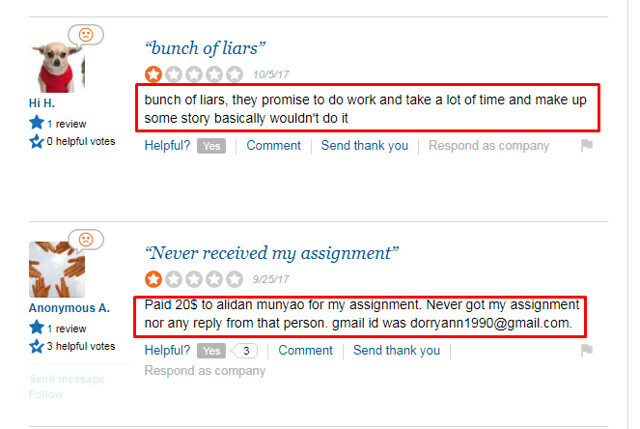 Continue reading this Homework Market review to find out how the company lies to its customers. Since I have already stated that this service seems to provide academic help in an absolutely different way, let's take a closer look and see how it works. There are only 2 fields for your instructions, where you write the title of your paper and the details. You can also attach some files. During the next step, you need to set the budget, the date, and the field of study. 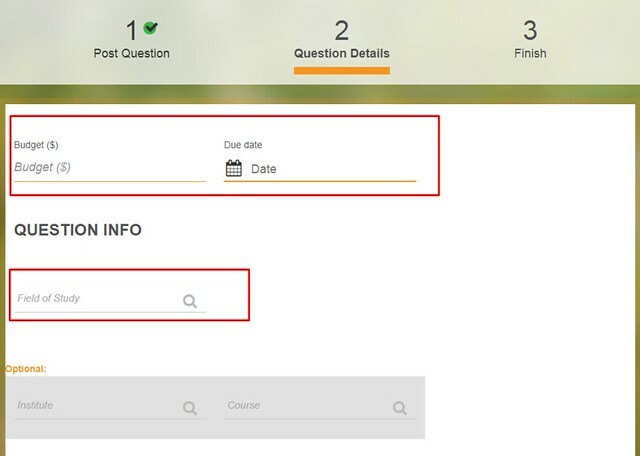 There is also a third step, but it is useless because you have already provided all the required information and only need to click on the Next button. If you think that you can negotiate the HomeworkMarket prices with its tutors and find the one with a better deal, then I have bad news for you. No matter which tutor you select, the price will be the same. So, all your attempts to find the best price will end with a phrase that the minimum price is 5-6 dollars. I really tried to find a tutor on Homework Market who would agree to work on my essay for a lower bid, but all my attempts were in vain. Another fraud about the tutors is their identity. Some of them have photos, and as you have already understood, I googled these photos. I bet you already know what I found out. The photos are fake!! Not all of them! I mean I cannot provide proof that all their photos are fake, but for me, it is enough to discover a couple of fake tutors to start doubting the trustworthiness of HomeworkMarket. Let me show you some examples. Here is Madam A plus who graduated Harvard University. 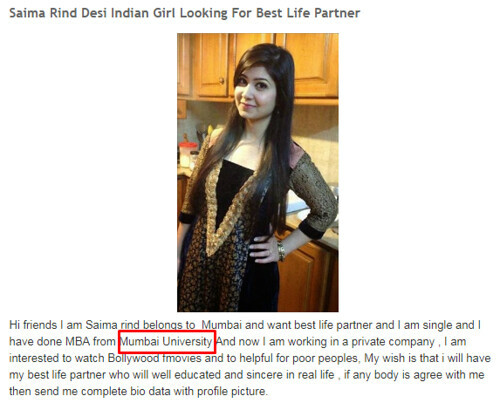 And here is Saima Rind who is looking for a soulmate and studied at Mumbai University. Another tutor who has a typical photo stock profile image is Musyokiones. And I was right. 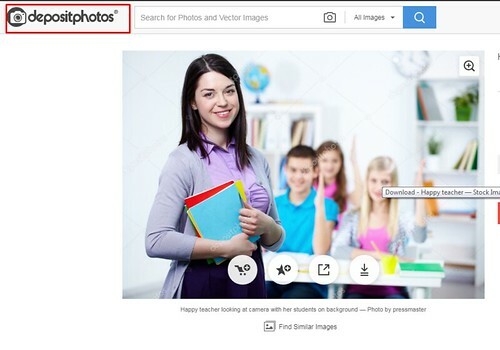 It is a photo of a happy teacher on Depositphotos. So, the majority of tutors' images is fake. I know that some may say it is because they don't want to show their real faces, but using photos of other people only indicates that there is something wrong with this company. I decided to learn more about Homework Market and visited Reddit. However, I didn't find useful information from users about this service. There were a couple of posts created by the company, but even there I didn't find a single comment. So, my next sept was visiting SiteJabber, and that was a right choice. 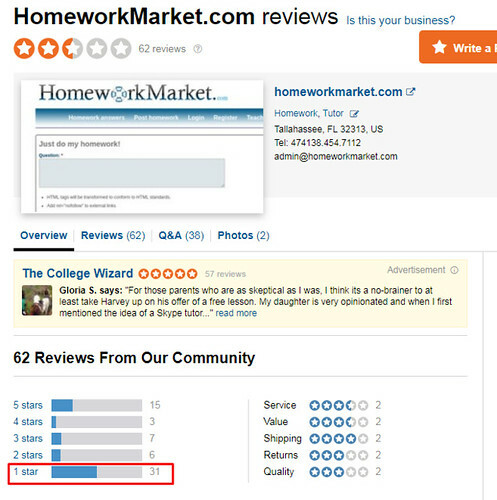 The ratings that users set for the Homework Market service mostly had 1 star. About half of all the people who left their comments were totally pissed with the quality of the papers they received on this site. And by the way, I am not the first one to call them liars. All these Homework Market reviews that I found on SiteJaber made me believe that this service has a very doubtful reputation, and it is better to avoid it at all cost. For me, it is a clear sign that this company DOES NOT guarantee a quality service to its customers. It guarantees nothing at all. So how can you trust them? I am almost sure that Homework Market cannot be considered a legit company if it doesn't provide any guarantees to its customers. So, think twice... no, think well. Is there at least one good reason why you can trust this service? 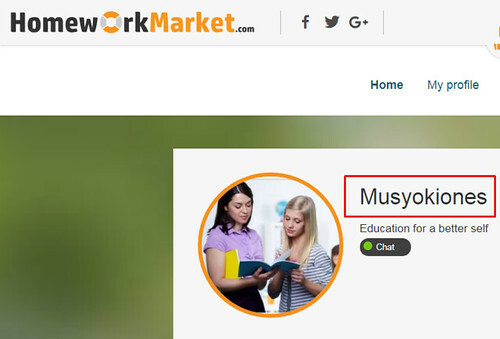 It was not hard to predict that there would be no live chat on homeworkmarket.com, only an email address. It is another proof why it is a bad idea to seek help here. You see, all reliable companies have a live chat so that the customer could get immediate assistance. The absence of this feature means that if you have a problem, you will have to deal with it alone. Even if you send a message on their email address, you will get an answer in 4 hours, 12 hours, or even tomorrow. But what if your issue is urgent, and you need assistance right now and right here? What if you cannot wait even an hour? What should you do? This company already looks like a total scam, and the absence of any support only makes me believe that I am right about that. I didn't place an order to check the quality of the papers delivered by this service. I visited a lot of writing companies, and even those that looked like a total scam were better than Homework Market. At least they had some guarantees, at least they had a live chat, at least they had revision and refund policies. Since I found no proofs that I will receive a quality writing service or that my money will be returned in case a tutor fails to follow my instructions, I see no reason to trust this company. And I strongly recommend to avoid it, unless you receive at least some guarantees.